Payment transaction mechanisms in Tier-1 and Tier-2 cities in the country, are quite evolved and also fairly well adopted. One could very easily see the various formats of payments, permitted by the RBI, in use in most major Metros – ranging from the more ubiquitous Cash, Cards (Debit, Credit & EMI Cards) ranging from simple Swipe (read Mag-stripe cards), Chip and the relatively more recent NFCs, Mobile Wallets ranging fom the Tap’n’Go to QR Codes,Instant Transfers IMPS and the more recent UPI etc. Yet one does not see most of these in the relatively smaller Tier III, IV & V towns? India as a nation is way too large. For economists to plan and strategise for a singular is almost impossible. So for the sake of convenience, they choose to categorise as India (Urbane) and Bharat (Rural). If one must explain the above in context of payments, the Tier III, IV & V typically comprise of Bharat. India is a nation of traders, this has been said since time immemorial. However, the small town traders are still comfortable only handling cash. What the various main businesses are in tier III/IV cities? Typically almost all agricultural produce and Natural products are sourced and traded out of these small semi urban centers. The permeation of mainstream industries is still very nascent in these centers. Trading of Agricultural commodities, Farm implements, Handicrafts etc. still rule the roost. In short all old economy businesses continue to hold fort in such centers. Yet adoption of latest lifestyle technologies like the latest Smart Phones and LCD/ LED TVs are continuing to rise, understanding & acceptance of financial products is still very low. What are the current payment modes in these cities? Consumption led purchases predominantly are still getting done in cash across retail destinations, use of Debit cards are slowly on the rise. With the J-A-M (Jandhan – Aadhaar – Mobile) revolution, penetration of debit cards has doubled in the last 3 years. Many more people with Bank accounts today have Debit cards, compared to 5 years ago. As of 2015 the Debit Cards penetration stood at 615 Million, which is almost 50% of the Population. So while consumers are beginning to use Debit cards to withdraw monies from the ATM, usage at Retail stores on POS machines is yet to begin it’s surge. This is on account of two factors –a.) Lack of penetration of Debit cards in such Centers & b.) Lack of penetration of acceptance devices at such centres. Both of these are interdependent factors. However for the evolved tourist attractions, where a large proportion of International travelers agglomerate, such devices exist and their usage too is fairly high. 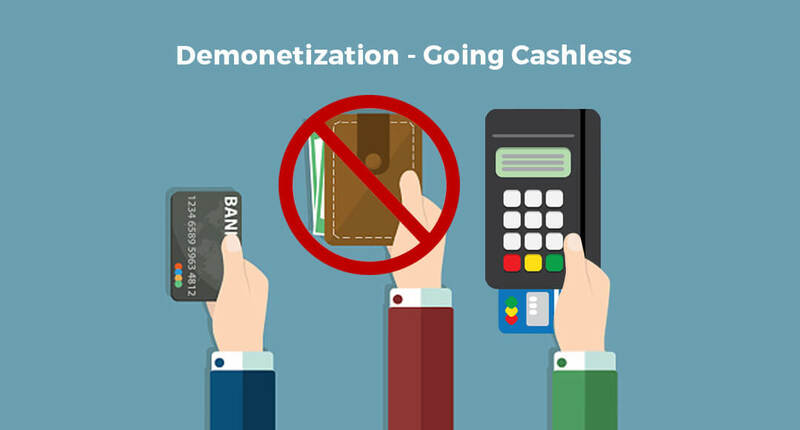 So it is not that the small town traders are opposed to accepting non-cash payment modes as is frequently attributed, but rather mere convenience and apprehension to adopt the newer modes of payments. However, these traders need to be aware that Cash Payments are always Risky and the Government is doing its effort to push acceptance of Cashless modes of payments. What are the risks involved in Cash transactions? Theft – most common occurrence. Rise in fake currencies – Fake Currencies are making their way to small town India, on account of low awareness and poor tracking. Verification of Source of Money – It is always difficult to track whether the source of such Cash is Ill-gotten or otherwise. Pilferage–this happens due to rise in aspirational values. Accountability–It is always easy to wish away Cash transactions, and often times these do not get accounted. What are the other problems leading to poor adoption? 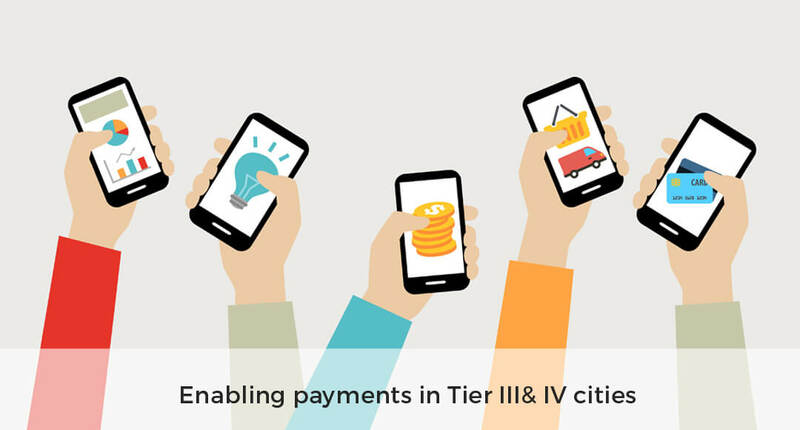 The primary problem is that awareness of digital payment modes, among the masses is at a low in Tier III and IV cities. The other major problem is the lack of funds in Bank Accounts. 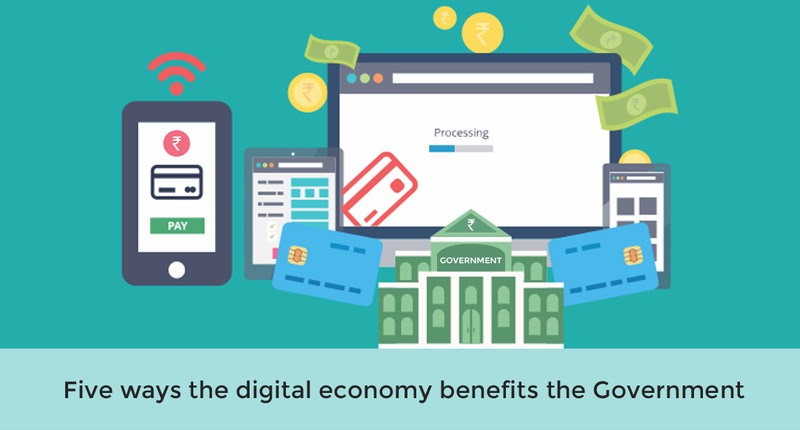 The Direct Benefit Transfer scheme for the various subsidies – is a step in the right direction by the government, to create the funds for digital adoption. Additionally the initiative by the govt to start accepting digital payments and absorbing the MDR costs are added initiatives that will help in increasing the rise in digital payments in smaller towns and cities. The Government’s interventions and intentions are aimed in the right direction. What can be the alternate modes of payments? A digital wallet is either PrePaid Instruments (PPI) or linked to users’ bank accounts. They are prevalently used for cashless payments. Beneficial to both customers and merchants, digital wallets can be used both online and offline. The likes of PAYtm, Mobikwik, Oxigen Wallets etc., are trying to enhance its usage across users from all over the country. These are now widely accepted across Toll Booths to Public Transport etc. P2P apps, expanded as a Person to Person payments, enable users to transfer the funds from their credit card or bank account to another user’s account. P2P payments are preferred and are successful because these transactions done via the Internet or mobile phone and the actual bank details of the receiver need not be known for the transfer. Zapp is one of the famous and user-friendly P2P apps. This is an alternate option for bill payment services. Net banking or using a credit / debit card for bill payment can be quite time-consuming as there are various factors like one-time password and double authentication method that make the use of a card for payment a cumbersome process. BBPS is aimed at the users of tier III and tier IV cities, primarily. This is a payment system that allows simple and hassle free fund transfer. The biggest advantage here is that there is no need for cards or OTP. Users are provided with an MPIN using which they can transfer even large sums of money, without any additional charges, at any time they choose. It is definitely an easy approach for both customers and merchants because there is no need for a POS or any other device installed at the place of business. All you need is a smart phone. This variant of the standard EFTPOS, is touted to be the most promising technology to accelerate cashless payments for the emerging countries. This device leverages the penetration of smartphones in the markets. It is a Pocket sized swiper, which pairs with the smart phone via a Bluetooth and voila, the smart phone becomes an acceptance device. Small Merchants will be empowered to do higher value sales. Higher penetration of mPOS will enable the customers to move away from physical Cash.